We are looking for a Catering Coordinator in Charlottesville, Virginia who won’t see this career opportunity as just a job, but as a way of life! This is an exciting and vibrant restaurant, heavy catering, sandwich and lunch business. We believe you can taste the difference when simple, high-quality ingredients are used. We are committed to other quality ingredients as well. We are passionate about serving awesome food...great tasting, high quality ingredients made just right with the highest standards in food safety. If you’re searching for a career with the best in the industry, don’t miss this opportunity in Charlottesville, Virginia. Job Description: The Catering Coordinator will manage and organize backline business while monitoring shop trends with a focus on People, Customers, Sales and Profit. When not focused on Backline Coordinator responsibilities, he or she may also be assigned to other Associate duties within the shop. The Catering Coordinator will also supervise all in store backline operations, ensure all backline orders are complete, assign and deploy delivery drivers to each order and act as a mentor for all associates training on backline operations. The Catering Coordinator must ensure that all catering information is displayed and stocked in the restaurant at all times and manage capacity for backline based on staffing while maintaining food quality standards and order accuracy. The Catering Coordinator must grow sales through complete and correct orders along with on time deliveries and set targets to improve sales. 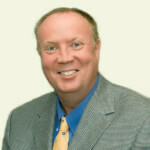 Tom Bull, CPC is the senior executive recruiter for Gecko Hospitality, Virginia and DC. Tom has a big background in restaurant operations with prior experience as DO for Applebee’s. After joining Gecko in 2010 he has successfully developed an extensive client and candidate base throughout Washington DC and Virginia. Tom has received numerous awards for top performance during his career at Gecko. He receives frequent accolades from candidates and clients for his ability to fill job orders fast. Tom’s experience in operations and recruiting provide a solid foundation allowing him to fill some of the most challenging positions, fast. He has connections at all levels within the restaurant segment from unit managers to Senior VP level operations, in addition to Executive Chefs and similar culinary roles. Tom’s success is built on his ability to develop strong business relationships and works ethically with a high sense of urgency.